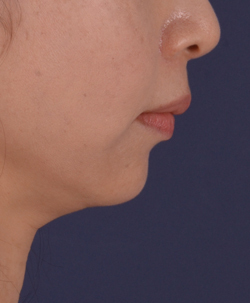 Projection of chin is very important for contour and balance of face. 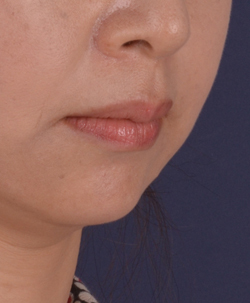 Method of chin augmentation of Aone is inserting silicon implants through under chin. Incision is about 2 cm long. Some may think there is risk of scar show is high, but actually it is not. 03.Neck tends to saggy earlier with small chin. 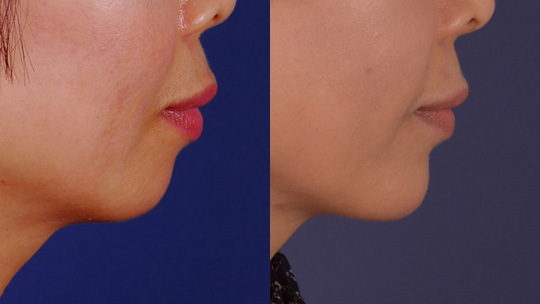 It can minimize effect of face and neck lift, chin augmentation must be done at the same time. 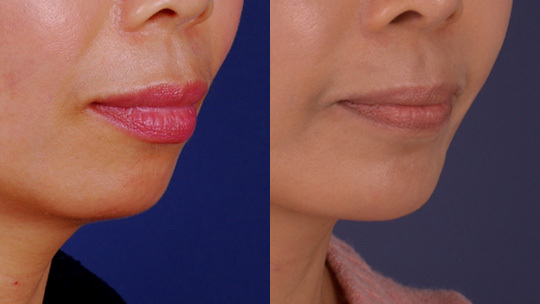 In order to have harmonious face it is important to have chin augmentation if patient has small chin. The reason why implants are not suggested in rhinoplasty is very thin nasal skin But skin around chin is very thick, implants can be very safe. 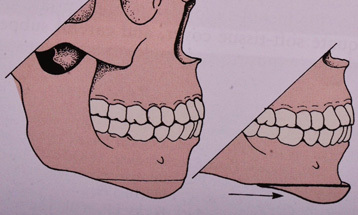 03.Relation between occlusion and bottom lip must be checked. 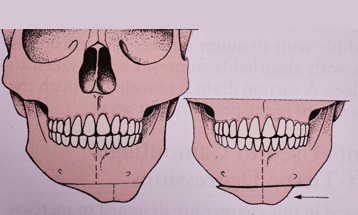 04.Imperceptible transition between the implant and the mandible. 04.The careful selection of the supplements’ size and length is important. 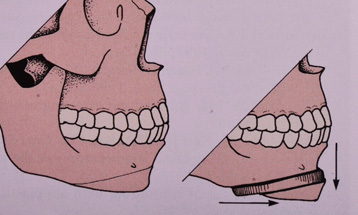 03.Dissect 2cm under the chin. Pocket is made without damaging periosteum layer.